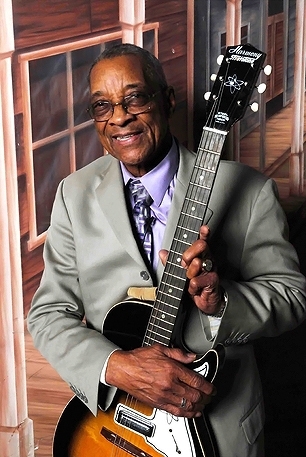 Blues Guitar legend Hubert Sumlin, whose signature scream and snarl defined Howlin’ Wolf’s sound, died in Wayne, New Jersey this week at the age of 80. 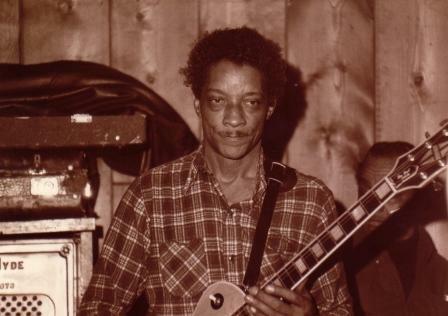 A highly underrated guitar pioneer in the Chicago “Electric Blues” scene of the late 1940’s- to late 50’s, Mr. Sumlin is revered in the music, directly influencing musicians such as Eric Clapton, Keith Richards, Robbie Robertson, Robbie Krieger and Jimi Hendrix, who was said to be fascinated on how Sumlin was able to attain the electric distortion on his Chess recordings. 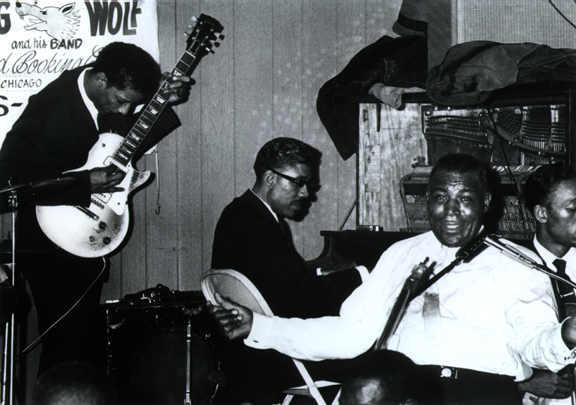 At age 22, then only in a band with Blues Harp great James Cotton, he joined Howlin’ Wolf’s notorious line up and became the famous screeching sound behind Wolf’s incredible grawl and bark vocals. His playing can still be heard echoing on television today, in the uber-masculine Viagra Advert where “Smokestack Lightning” is played and his addictive hook is spun around Wolf’s howling and harmonica paying. His recordings with the Blues Great Howlin’ Wolf while with Chess Records have become the stuff of legend, and songs like “Little Red Rooster”, “Spoonful”, “Backdoor Man”, “I Ain’t Superstitious”, “Who’s Been Talking?”, “Going Down Slow”, “Evil”, and “Sitting on Top of the World” (all written by the Blues genius Willie Dixon), have gone on to be famously covered by such mega-bands as Cream, The Doors and The Rolling Stones. A recent superb outing by Sumlin entitled About Them Shoes, from 2005, became an instant classic and had guest appearances by Mr. Clapton, Mr. Richards, Levon Helm and David Johansen. 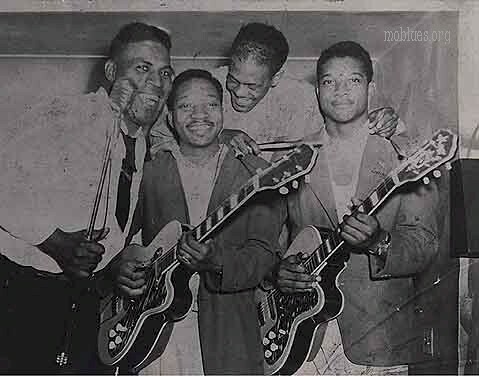 Born in the region where the Blues originated, the Mississippi Delta, in 1931, Sumlin said he always wanted to be a guitar player, getting his first instrument at age 6. 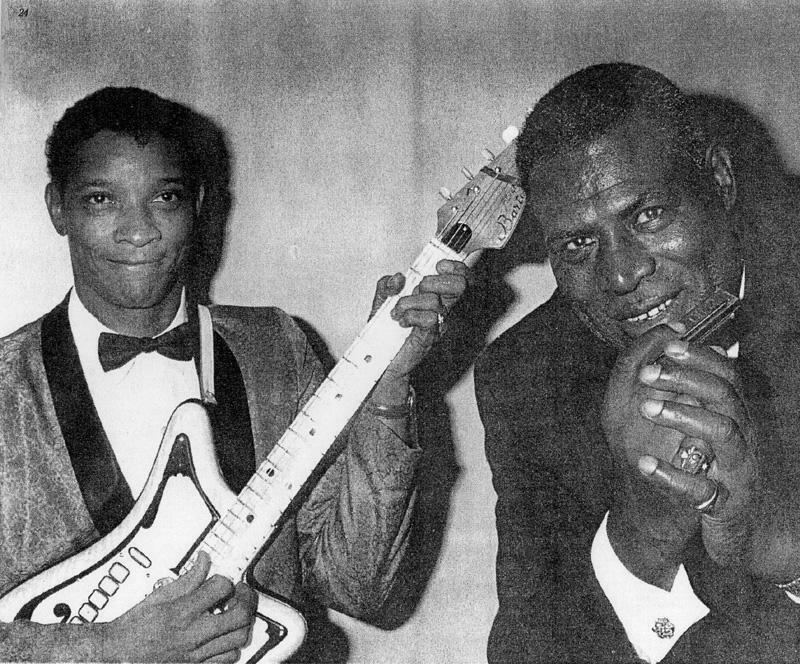 He later met Howlin’ Wolf and joined his band first as a rhythm guitar player, before graduating to lead. Mr. Sumlin stayed with Wolf’s group until the icon’s death in 1976. He left the band only once in this time frame, to play with Blues legend and backdoor rival to Wolf, Muddy Waters, for a 6 month stint. This caused a famous dust up between Chicago and Chess stars Wolf and Waters, ending with Sumlin returning to his origin band. His relationship with Wolf (born Chester Arthur Burnett) was said to be like that of a father and son, though they did occasionally come to odds with one another. Once after missing a gig in Little Rock, Sumlin joined the departing band to travel to the gig in the next town, only to have Wolf stop the car, drag Sumlin out and throw him down a hill, causing the latter to loose two teeth. But rest assured Sumlin got his revenge. A few days later during a gig at Chicago’s famous Blues club Silvo’s, Sumlin showed up in the middle of the set and punched Wolf square in the face, knocking a few of his teeth out as well. The two then apologized to each other, and then returned to playing together. Under Wolf’s mentor, Humlin was reportedly turned from a shy boy into a guitar dominated, stage legend, that lacerated the guitar. He, like so many of that generation of blues greats, continued to tour his entire life, considering the road, his home. Though never a a recipient of any major awards, he long ago garnered acclaim by his peers and helped to mold that thing we call today, modern music. It has been confirmed that Mick Jagger and Keith Richards will pay for the funeral, which will occur on the 13th of December. He will be greatly missed. Two long-lost Doctor Who episodes rediscovered!